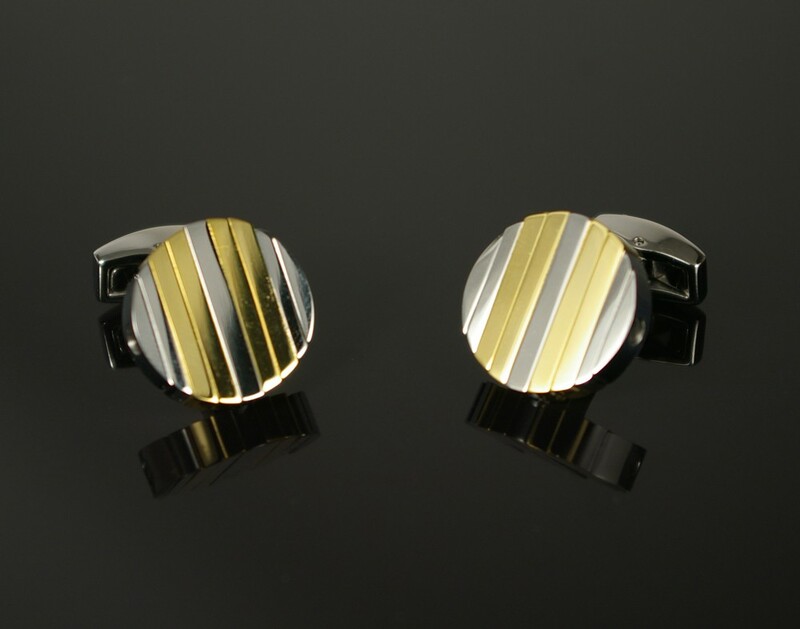 Gold and silver plated stainless steel cufflinks that turn and swivel on command. Gold and silver plated stainless steel cufflinks that turn and swivel on command. Wear them as flat circles, or turn them to create a unique shape.